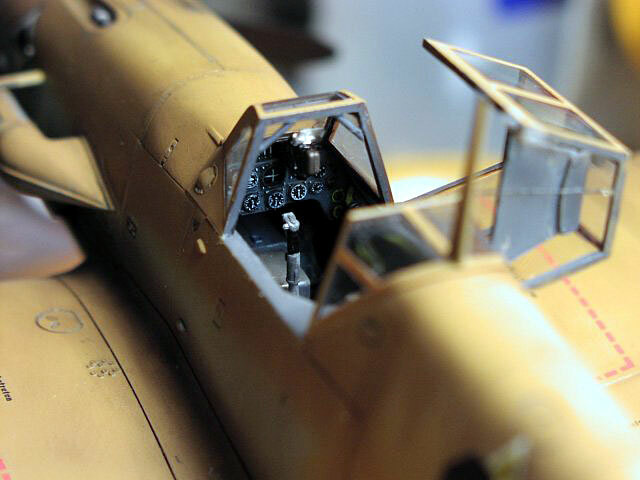 This is Hasagawa's 1/32 Bf109 G-4 trop modeled with the 20mm wing "Kanonboot." This kit was built out of the box with the supplied decals. The aircraft represented is one from 8./JG 53 in San Pierto Sicily. This ship was flown by Franz Shiess and shows 37 victory markings. 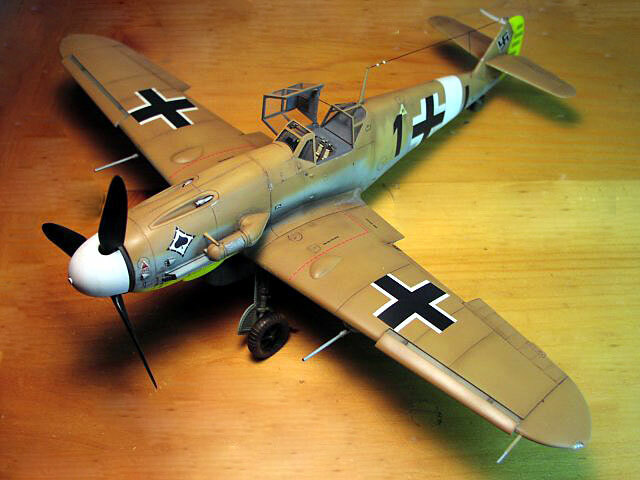 While there are always some arguments over Luftwaffe markings and camouflage, I made a decision early on not to bog down too much with references. I was after a desktop piece that I could slam out quickly. While it may not be accurate in some regards, it strikes up good conversations at the office. Paint is all Polyscale Acrylic. After the RLM 78/79 was applied, white theater markings and the yellow cowl were masked off and sprayed. 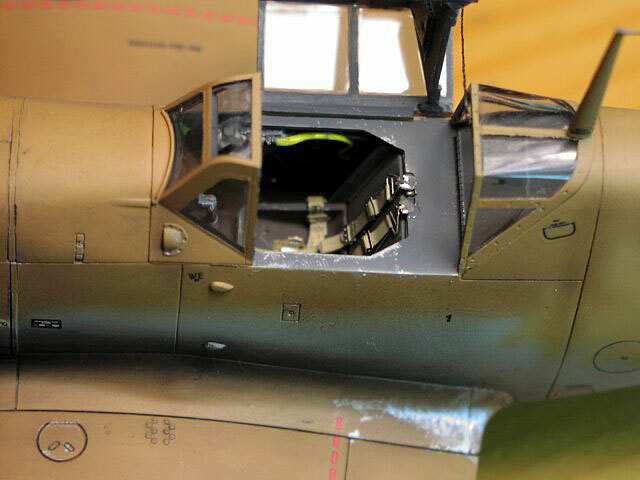 Then the overspray area under the "black 1" was done with some lightened RLM 79. The model was then coated with future. Decals applied and another coat of future. Then weathering with colored (various earth tones) pastels and a Polyscale flat coat. Silver chipping was done with a prismacolor pencil then a few touch up spots with clear flat and she was done. Antenna and canopy wire are thin thread from the wife's sewing box, ceramic leads are superglue beads painted flat white.